Not having the proper inflation in tires increases the risks of blowouts, poor steering and other dangers on the road. The team of certified mechanics at The Tire Doctor in New Haven, Connecticut, understand the importance of preventative maintenance when it comes to tire pressure. Customers continue to turn to this neighborhood shop for a range of service to keep their wheels accurately aligned and fitted. Why Is it Important to Have the Exact PSI Recommended by the Manufacturer? One of the reasons why tire inflation is important is the right levels can help prevent accidents. If the air pressure is too low or too high, it can impact how a vehicle operates. From skidding to unpredictable maneuvering on icy or wet roads, inconsistent inflation is a recipe for physical harm and damage to you, other drivers, passengers, and vehicles. Overinflation of a tire can lead to a host of problems. This includes increasing the chance it will rupture while driving. Overinflating them can also cause them to wear faster, causing the vehicle to drive roughly. 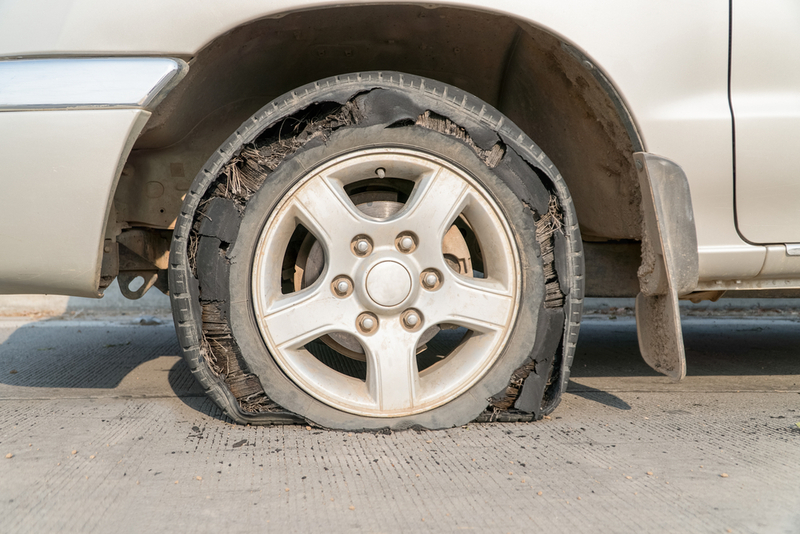 Underinflated tires are also triggers for increased wear and tear and blowouts. Inadequate pressure levels can lower fuel efficiency, meaning the vehicle has to burn more gasoline to operate properly. Underinflated tires are also a danger point for shaky alignment and inconsistent steering. How Do I Know How Much Is Enough? If you’re unsure about the right amount of pressure needed, information on the recommended PSI is found on a label inside the driver’s door jam. Here, the correct pressure and size, including width and circumference, are listed on the label. Always refer to the PSI number on the label and not on the tire itself because the number located there is the maximum amount of pressure, not the suggested amount. From tire sales and repairs to brake services, The Tire Doctor is the local car repair shop customers continue to rely on for quality and affordable services. Should your vehicle need new wheels, an ASE-certified technician will provide the right ones, as well as alignment, based on the car or truck’s make and model. The tire repair center has an extensive inventory from the leading manufacturers and only uses state-of-the-art diagnostic and equipment to ensure proper alignment. Should you have questions about your vehicle’s tire pressure or are having operational problems while driving, and you’re in the area of New Haven, Connecticut, stop by The Tire Doctor today. To schedule an appointment, call (203) 787-1281. Visit the website for information on other auto repair and maintenance services.